Darren Criss Goes Shirtless for ‘Hedwig’ Opening Night in Hollywood! | Darren Criss, Shirtless | Just Jared Jr.
Darren Criss Goes Shirtless for 'Hedwig' Opening Night in Hollywood! Darren Criss puts his hot body on display while shirtless for the curtain call at the opening night performance of Hedwig and the Angry Inch at the Pantages Theatre on Wednesday (November 2) in Hollywood. 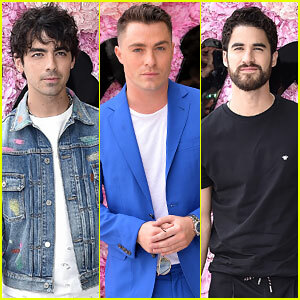 The 29-year-old former Glee star is playing the title role in the musical and he wears just a pair of tiny black shorts for the final numbers in the show. 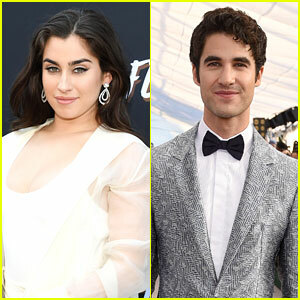 Darren is starring with Lena Hall, who won a Tony Award for her performance in the Broadway production of the musical. They are both giving amazing performances in the show, so catch it now through November 27! Also pictured inside: Choreographer Spencer Liff, who did the musical staging for the show, walking the pink carpet. 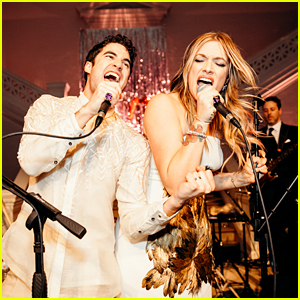 Darren Criss & Mia Swier Share Pics From Their Wedding! 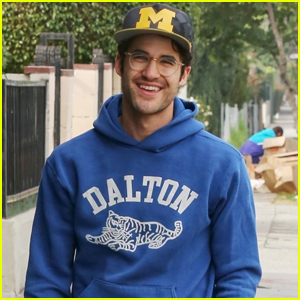 Darren Criss Returns Home After Getting Married to Mia Swier! Darren Criss & Mia Swier Look So in Love in Their Wedding Photos! Glee's Darren Criss Marries Mia Swier! Sarah Hyland & Victoria Justice Look So Chic at amfAR Gala 2018! 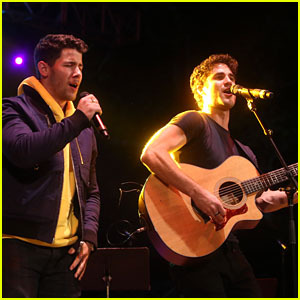 Nick Jonas & Darren Criss Do a Surprise Duet Together During Elsie Fest 2018! Dinah Jane Attends iHeartRadio Music Festival After Dropping New Song! Host Darren Criss Joins Gigi Hadid & Hailey Baldwin at Fashion Media Awards!